One of the difficulties with reviewing a book that exists in two separate editions is that in some crucial ways you might well be reviewing two different books. 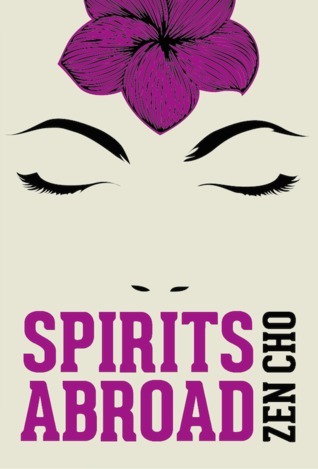 Zen Cho’s Spirits Abroad is a paperback published in Malaysia by maverick publisher Fixi Novo, consisting of ten short stories divided into sections titled “Here”, “There” and “Elsewhere”. 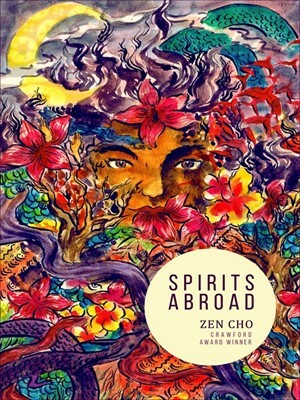 Zen Cho’s Spirits Abroad is also an internationally-available ebook consisting of fifteen stories (divided into sections titled “Here”, “There”, “Elsewhere” and “Going Back”), as well as commentary from the author. The second of these is, naturally, the more readily available; the first is the original book, and all that added content in the ebook is classified under “extras”. The ebook as a form is flexible enough to make this possible, of course, and I’ll willingly accept all the fiction Cho is willing to give me, but it’s hard to see this much added material as merely supplementary. Place is important here, as those section headings show. The three stories that make up “Here” are all set entirely in Malaysia; “There” consists of four stories of Malaysians in the UK. There’s an implicit statement being made about where this book’s cultural centre is, about what is normal and what is strange. It’s a statement that chimes with Fixi Novo’s manifesto, published at the front of the (paper) book, in which they pledge, among other things, that they “will not use italics for non-American, non-English terms. This is because those words are not foreign to a Malaysian audience […] italics are a form of apology.” As the necessity for such a manifesto indicates, globally, English language fiction (including SFF) is still dominated by a sense of the West as cultural centre, so that even for those of us from (or in) other parts of the world, placing ourselves in that position can feel a bit radical. Here, if there’s a culture that needs to explain or justify itself it’s that belonging to England, not Malaysia. (“‘People brought sambal?’ Hui Ann noticed people hastily squirrelling away jars of dark red paste. ‘You brought that all the way from home? Eh, here in England they also got food one, you know or not?’ ‘I don’t like fish and chip,’ said one of the sambal smugglers defiantly.”) More usually, though, Cho draws on both cultural sources, the “here” and the “there”, as do her characters who realistically, because that is what the world is like, inhabit them both. One of my favourite moments in “The House of Aunts” comes when Ah Lee, its protagonist, has revealed her supernatural identity to the boy on whom she has a crush, and asks him “You want to say it? You want to tell me what am I?” It’s funny because it’s an inversion of a similar scene in Twilight (one of “The House of Aunts”‘ more obvious intertexts); it’s great because so much of what is good about the story rests on the precise differences between “vampire”, the western cultural concept both of these teenagers are relatively comfortable talking about, and “pontianak”, which is what Ah Lee really is. Two of the stories in the collection have supplementary stories included as ebook extras. “The Persistence of Angela’s Past Life” takes a side character from “Prudence and the Dragon”, Prudence’s best friend Angela, and gives her a back story that not only fleshes out these characters and their history but reframes the original story as well—the reader of “The Persistence of Angela’s Past Life” is reading a different “Prudence and the Dragon” entirely. This may all seem obvious; of course stories exist in relation to one another, and of course increased knowledge of a world/context changes how we read the stories it contains. But all this is also crucial to Cho’s larger project—this opening up of the worlds that we “know” and reminding the reader that other characters, other stories, already exist (have always existed) within them. It’s most evident in her dealing with British history; in Sorcerer to the Crown, in her romance novella The Perilous Life of Jade Yeo, and in this collection in “起狮，行礼 (Rising Lion – The Lion Bows)”, a story about a ghost-busting Lion Dance troupe in England, hired to exorcise a haunted cabinet. The ghost in question turns out to be a small African child, a legacy of British imperial history, whom the troupe choose to adopt, even if it means carrying an unwieldy cabinet around forever after. The “Going Back” section of the collection, exclusive to the ebook, rather destabilises the tidy geographical demarcation of the “original” book. If Here, There and Elsewhere are Malaysia, Britain and fantastic (or SFnal) spaces respectively, from where and to where does one return? All three of the stories in this section are set in Malaysia, but they speak of other sorts of return as well. “The Fish Bowl” revisits adolescence, “Balik Kampung” involves a return to the world of the living. (“The Many Deaths of Hang Jebat” revisits myth and Cho’s fanfiction roots, possibly, or may be where this neat reading breaks down). But the theme of homecoming bookends the main body of the book as well—it’s as integral to “The First Witch of Damansara” (which opens Here) as it is to the closing section of “The Four Generations of Chang E” (with which Elsewhere closes). “Balik kampung” (returning to the village), Cho explains in her notes to the story of that name, is a tradition “embedded in the urban Malaysian psyche”; it’s tempting to read this theme of return, the impossibility of return, and the various inconveniences encountered in the attempt, as equally embedded in this collection. Those same story notes, however, left me conflicted. On the one hand, it’s fantastic that the ebook allows the author to annotate and provide extra information about the stories and their genesis—whether or not that information is particularly helpful. For example I’m not sure “The Earth Spirit’s Favourite Anecdote”, which works mainly by being told in a really charming tone, is much improved by the information that it’s Legolas/Gimli slash, as amused as I was by this fact—whereas the revelation that “The Many Deaths of Hang Jebat” is a “five things” story changes everything. Too often, though, the notes take a tone that feels to me contradictory to the joyous, unapologetic spirit of the book—they explain. The presumed reader of the ebook, unlike the presumed reader of the paperback, has to be told what Balik kampung means culturally rather than knowing/inferring/being content in their ignorance; needs to be reminded not to read “Chang E” as “the one true narrative of diaspora”. And if such a reader needs to have it explained to them that “First National Forum on the Position of Minorities in Malaysia”, the best story in the collection with its crotchety, vulnerable old lady protagonist and its deadpan reporting of committee proceedings, is supposed to be funny, then they do not deserve to read it. It’s tempting to read the inclusion of the notes as a reflection of the ebook’s wider audience; in reality, they’re probably just there because the format allowed them to be. In part because of her constant engagement with earlier literature, Cho has tended to attract the Author X + Author Y sort of review (“Susanna Clarke plus Georgette Heyer–with a soupçon of P.G Wodehouse and infused with the Mitford sister of your choice”). I feel guilty for adding to it, but I’m just going to come out and say it—a good Zen Cho story has the charm and the precision of a good Joan Aiken story. And there are several good Zen Cho stories in this collection.